The Democratic congressman from El Paso on what life will be like with the Republicans in control of the U.S. House, why the information released by WikiLeaks shouldn't be public, whether we should be sending troops to Mexico and why Gov. Rick Perry talks so much about spillover violence. 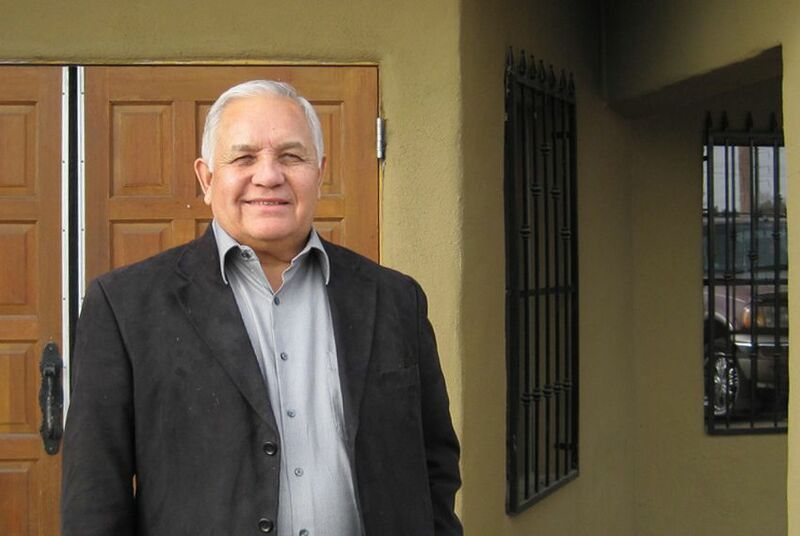 U.S. Rep. Silvestre Reyes, D-El Paso, survived the GOP onslaught on Election Day, but, alas, his chairmanship of the House Permanent Select Committee on Intelligence did not. Now that the Republicans are in the majority in the U.S. House, Reyes and other Democratic chairmen must relinquish their gavels. Still, Reyes was in good spirits during the week between Christmas and New Year's, when he sat down with the Tribune at one of his favorite Mexican restaurants in El Paso to talk about what happens now: what the 112th Congress will do now the the GOP is running things, whether he supports U.S. intervention in violence-plagued Mexico and why the information released by WikiLeaks shouldn't be public — even in the name of transparency and open government. What follows is an edited transcript of the interview and full audio. TT: How do you think the agenda of the new Republican majority in the U.S. House is going to affect your district? How will it affect the Hispanic community in Texas? Reyes: First and foremost, I voted for health care reform — we’ve got 230,000-plus people in this district alone without health insurance. We are pretty representative of border communities between Texas and California, so if they try to repeal or roll back portions of health care reform, that can have a very detrimental impact. TT: Do you think they’ll be successful? Reyes: I hope not. We have enough votes to sustain vetoes that we presume the president is going to exercise, and we also have control of the Senate, so it may not even get to that point. Any changes may be just political hits against health care reform and really won’t be substantive. At least that’s my hope. TT: On your website, it says, “Immigration reform needs a comprehensive approach that addresses the short-term and long-term security and economic needs of this country.” What is the short term, and what is the long term? Reyes: Certainly the DREAM Act is representative of the short term. We’ve got kids who aren’t able to continue their education through no fault of their own. It’s hard for me to see some of the positions that the Republicans took to fight the DREAM Act, but then again, it’s a difference of political philosophy that they have versus what we represent. I think the long term is more serious, because we have a whole shadow world living in our country of 12 million-plus people in which those who are coming in to hurt us can move around freely. We should give people an opportunity to self-identity and come out of that shadow world and greatly reduce the number who are in this country undocumented so that our law enforcement and intelligence agencies can do a better job of sifting out those who are here just to work versus those who are here to do us damage. TT: You were one of five Democratic border congressmen who signed a letter in May to Gov. Rick Perry asserting that though he claims the federal government is not doing anything to secure the border, he wasn’t spending the money that was allocated to the state the way he should have. Why is there such a disconnect between the governor’s office and the federal government? Reyes: I think it boils down to one word: politics. Gov. Perry has been reacting to the extreme right wing of his party. He pandered to them in the primary and demonized Sen. [Kay Bailey] Hutchison for the work she has been doing for Texas the last 12 or 14 years, and did it very effectively. So it’s not so much a disconnect as it is a political strategy. Gov. Perry is a very astute politician. A lot of people speculate he may want to make a run at the White House, if not in 2012 then maybe in 2016, so he may be trying to position himself to take full advantage of the political atmosphere that exists today. From a practical standpoint, we are a majority-minority state. While in the short term it may seem the Republicans are making gains, in the long term I think the price they are going to pay for demonizing minorities is going to be extensive. TT: Do you think the governor exaggerates the potential for spillover violence from the Mexican side of the border? Reyes: We have to take the threat seriously, but none of it exists right now. El Paso is today the safest city in the country of over half a million people. We live right across from one of the most violent cities in the world, which is Juárez. I think that speaks to two things: We never want to underestimate the job that our law enforcement agencies are doing, because they do great work. But more important, you don’t want to underestimate the cartels, either. They know they don’t benefit by giving us any kind of an excuse to fully engage against them. We are helping Mexico every way that we can, through intelligence, training, equipment and communications. But were there to be an overt act against us, there is much more we could do. I think that’s the way they see it. They want to make sure they don’t give this country an excuse to fully go against them with everything we’ve got. They have a lot of money, a lot of guns and a lot of firepower, but they are not fooling themselves that they could stand up to the United States government. TT: Should the U.S. be doing more in Mexico? Reyes: I have been urging the president to do more. The limiting factor in our ability to help them is that they are a sovereign nation. President Calderón has been the most cooperative that I have ever seen. I spent 26-and-a-half years in the Border Patrol, and I never thought we’d see the kind of communication and openness that Mexico and the Mexican government has shown during this period. But there is a lot at stake for them. The people who suggest that the solution is to send the military into Mexico simply don’t know what they’re talking about, because we can’t afford to invade a friend of this country. TT: How bad was WikiLeaks for our intelligence community? Reyes: It could be catastrophic for us. It has hurt us on many different levels: diplomatic, law enforcement, even personal relationships. It has really tested the trust that many of us have on both the political and local level. It has helped no one, and it’s going to be tough to overcome that kind of damage. TT: In a country that prides itself on transparency and open government, why is it not the public’s right to know what’s going on? Reyes: For the same reason that we as Americans expect privacy in our bedroom. No one has a right to interfere with the relationship between a husband and a wife in their own home; they have an expectation of privacy. Governments have the same kind of privacy expectations. As someone who has met with heads of state and delivered messages from the administration and Congress, you can’t, for the sake of transparency, make that information public. TT: People will no longer call you Chairman Reyes after the new Congress gavels in. Reyes: The most important people are going to call me grandpa. But whether or not you’re called chairman, a lot of that stays with you because of the work you’ve done, because you’ve tried to be fair. What continues is the ability of people to trust you. When you give your word and you keep it, that’s something that people respect and understand. I hope that most people I’ve worked with have that kind of respect for what I’ve tried to do the last four years.